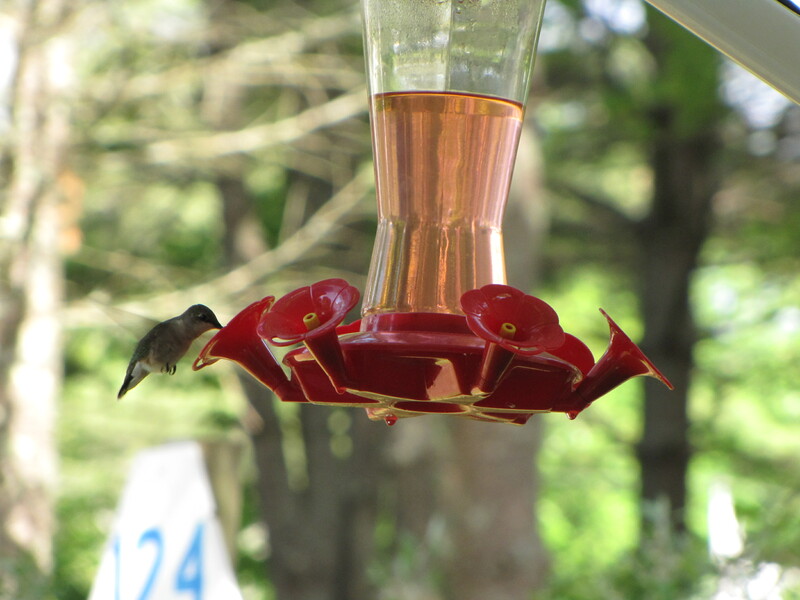 Bob’s Hummingbirds – Maine. Ocean. Camping. It’s been a rainy weekend…welcome for the gardens and the pool table…all the good weather had been leaving both a little forlorn. We’re looking for sunshine tomorrow but I just wanted to share these photos that Bob took yesterday afternoon. 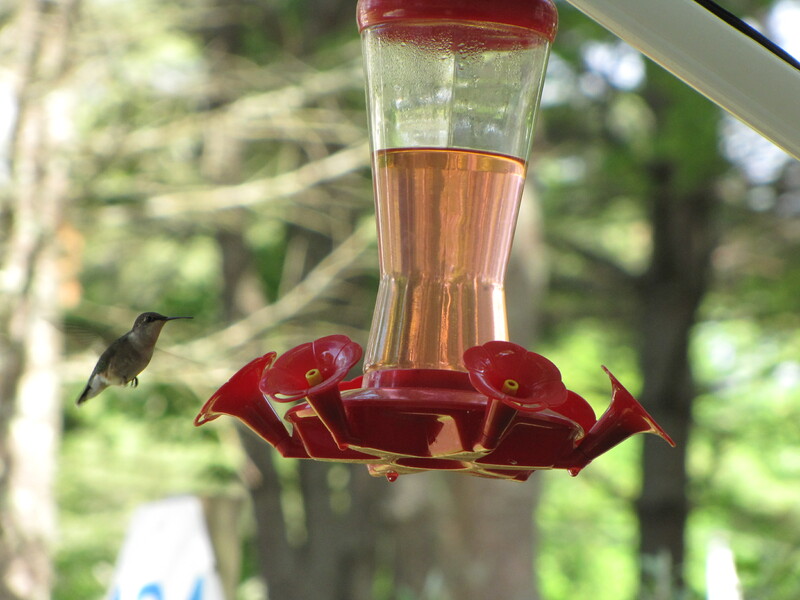 A few weeks ago he had the brilliant idea of hanging a hummingbird feeder off the awning of his trailer. He’s been blessed with 8 humming birds vying for a spot. On an entirely different note, we met again for the 50’s-60’s weekend July 30th through August 1st. The car show is going to be a big part of the weekend…and look for developments on the hula hoop front…coming soon.